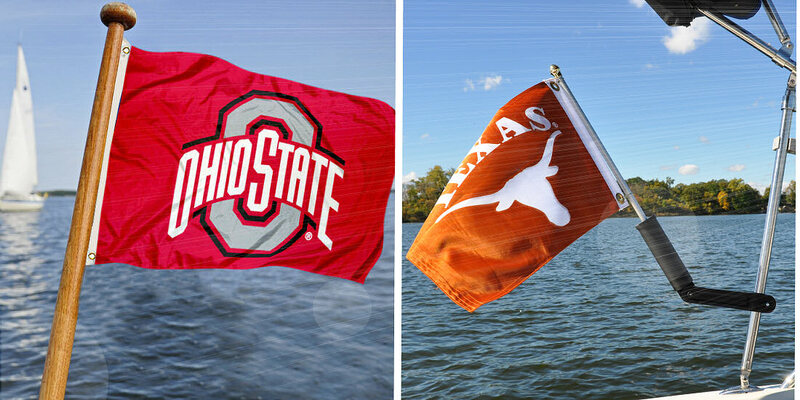 Our College Nautical Flags are a perfect way to show your college team spirit by flying from your boat mast, pontoon canopy frame, or any boat flag mount. These Nautical Flags measure 12"x18", are made of two-ply polyester, offer quadruple stitched fly-ends, and have two metal grommets. The collegiate logos are screen printed into the polyester so they will remain colorfast and resist fading. In addition, because they are double-sided constructed, the school logos are viewable and readable correctly on both sides. 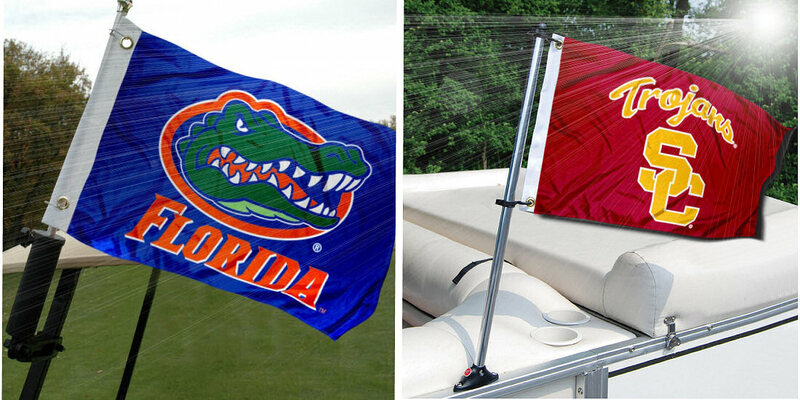 These College Nautical Flags can also be used as decor, motorcycle flags, golf cart flags, and other recreational uses. Check out our All Purpose Mount to see where these flags can be displayed.